I’m pretty chuffed with that. 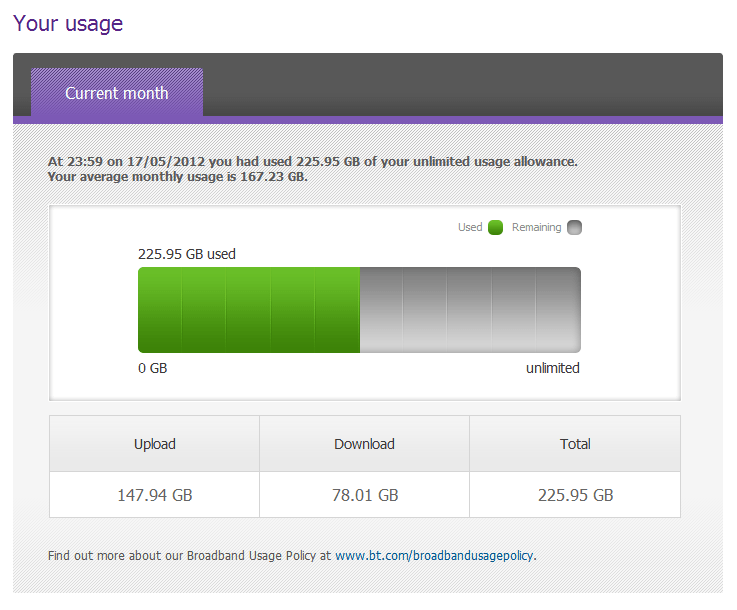 Compared to my broadband speeds this time last year that’s approximately 70 times faster on the download end of things. I’m also pretty happy about my “truly unlimited” connection. Below is my usage for the past month. I have been uploading all of my music collection to Google Play Music, which explains the massive upload usage. Sadly Google Play Music is limited to 20,000 tracks so I’m stuck with under half my music collection uploaded and they don’t appear to be offering any option for increasing your allowance.